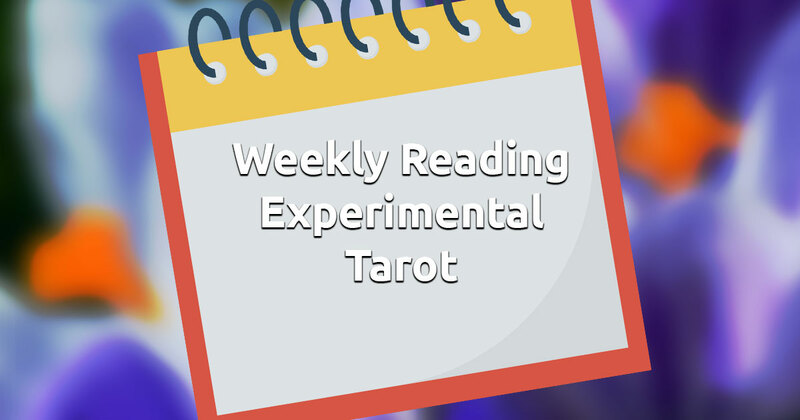 The Weekly Experimental Tarot reading is used when you want to get and overview of the coming days. The Experimental tarot deck builds upon and enhances the traditional tarot cards, it has very different images and card names. The style of this set is very modern and clear, which makes its messages deep, powerful and wise. The symbolic meaning of every card communicates direct, practical words, that are profoundly intertwined with the modern times and the wisdom of our ancestors. With this reading you're guaranteed to receive detailed and accurate information for the coming days. It will help you gain insight on your work related, social and even family situations, as well as present possible obstacles and suggest how you can overcome them. This spread will help you know what you should be most aware of, so you can adjust your plans accordingly and approach the nearing days with confidence. Relax for a bit and clear your head - this will allow you to utilize your intuition for the best results. When you're feeling ready focus your mind on the next days and select 7 cards to start your reading session with the Experimental Tarot deck.